Ruffa Gutierrez and Sunshine Cruz return to ABS-CBN via Kim Chiu and Xian Lim's upcoming drama series, Love Thy Woman. Kim Chiu and Xian Lim are teaming up again for a teleserye after three years. The real-life couple is set to top-bill ABS-CBN's upcoming drama series, Love Thy Woman. 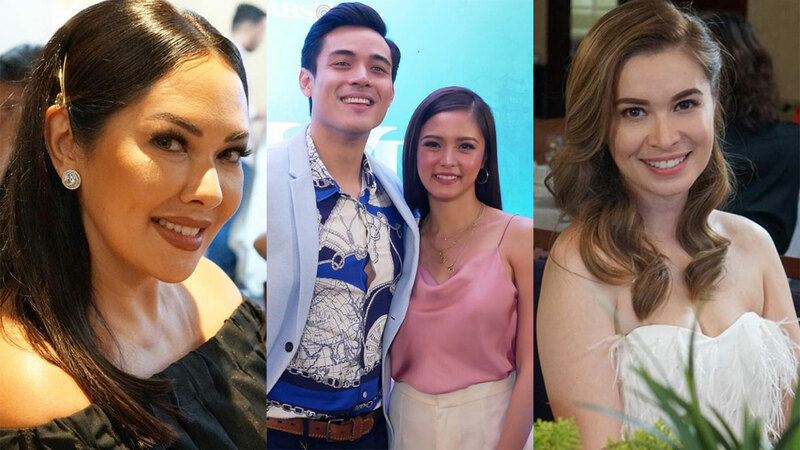 The story conference held on April 8 was attended by all the cast members of the Kapamilya teleserye. According to ABS-CBN News, Kim is cast as the daughter of the characters of Sunshine Cruz and Christopher de Leon. The characters of Kim and Erich Gonzales are actually half-sisters. At the start of the series, Xian's character is the fiancé of Erich Gonzales’ character. Kim and Xian last worked together in the prime-time series, The Story of Us, in 2016. Sharing top billing with Kim and Xian is actress Erich Gonzales, who works with Kim again after seven years. The last project they did together was Minsan Lang Kita Iibigin, wherein Kim played the young Lorna Tolentino, and Erich played the young Amy Austria. Xian was also in that project as the young John Estrada. But the last full-length soap of Kim and Erich together was the 2007 drama series, Sana Maulit Muli, wherein they figured in a love triangle with Gerald Anderson. It was both Kim and Erich's first foray to portraying lead roles in a TV series. Ruffa Gutierrez makes her full-length teleserye comeback after three years via Love Thy Woman. This is also her first regular show with ABS-CBN, after transferring to TV5 in 2010. Sunshine Cruz first confirmed to PEP.ph (Philippine Entertainment Portal) in a March 12 interview that she is staging an ABS-CBN comeback this year. She was last seen in the GMA-7 series Kapag Nahati ang Puso. Zsa Zsa Padilla, Eula Valdes, and Christopher de Leon comprise the veteran stars who are part of this new teleserye. Former actresses Jana Victoria and Jennifer Sevilla, who both took a hiatus from showbiz, are staging their comebacks via Love Thy Woman. Chienna Filomena, David Chua, Shido Roxas, Tim Yap, Kimberly Tan, Tori Garcia, Turs Daza, and Karl Gabriel complete the supporting cast of the series. The upcoming drama series will be directed by Jeffrey Jeturian, who works with Dreamscape Entertainment for the first time after many years. Jeturian used to direct drama shows produced by GMO Entertainment Unit, headed by business unit head Ginny Monteagudo-Ocampo. Some of Jeturian's notable works under GMO Entertainment Unit were Be Careful with My Heart (2012-2014), The Better Half (2017), and most recently, Playhouse (2018-2019). More details, including the airing date and official timeslot, have yet to be announced for Love Thy Woman.